The information could be used to determine health insurance costs and eligibility. Further applications could affect pay, promotions and even job security because of data analysis linking certain kinds of health or family histories to performance and longevity. 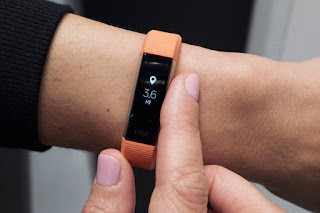 Across the U.S., more employers are handing out activity trackers and rolling out high-tech wellness programs that aim to keep closer tabs on workers’ exercise, sleep and nutrition, and ultimately cut ballooning health-care costs. Disney , Whole Foods and dozens of other companies have introduced programs to reward employees for meeting certain criteria on health indicators such as weight-to-height ratio and blood pressure. Some incentivize workers to hit a target number of step counts and eat well: One wellness provider, Vitality, works with 31,000 grocery stores to analyze participants’ food choices and award points for healthy purchases, which can be redeemed for prizes. While many employees are fans of the programs, which often sync with apps that track user data, others are raising questions about who sees such data, where it could end up and whether such programs discriminate against those who don’t participate. In West Virginia last year, a statewide teacher’s strike was partly spurred by the introduction of Go365, an app used to track steps, sleep and heart rate. Failure to earn a certain number of points through the system would result in a $500 hike in the employee’s annual insurance deductible. “People felt really violated,” said Tega Toney, 34, an 11th-grade social-studies teacher in Oak Hill, W.Va. “It was a Big Brother issue.” The program was later abandoned. Other employees consider such programs a benefit and enjoy the idea of being rewarded for a healthy lifestyle. Chereesa Williams, who handles oil-and-gas payments for the company King Ranch in Houston, each morning steps on an employer-provided scale that syncs with her phone, and wears a company-provided Fitbit to track her steps all day. “Nowadays if you don’t have your health, you don’t have anything,” said Ms. Williams, 59, who’s lost 15 pounds in the past year and gets about $1,200 discounted from her health premiums annually. Why is my employer doing this? It depends. To abide by federal law and prevent discrimination, third-party wellness providers generally only share workers’ aggregated information with employers. But if employers are running incentive programs—for instance, challenging employees to meet certain health targets or step counts—it’s possible a provider would notify the employer about which individuals succeeded. Many wellness providers retain the right to sell aggregate user data to advertisers and others, which critics fear could be matched with other information and potentially risk individual exposure. Should I worry about my privacy? In addition to tests measuring indicators like blood pressure, wellness programs often involve taking detailed online health assessments that can include questions on alcohol consumption and pregnancy plans. Many programs employ wearable devices that track step counts, sleep and heart rates. Some privacy experts fear that by opting in, individuals may put their data at risk. Wellness programs that are run as part of group health plans are covered by HIPAA, the nation’s main health-privacy law. However, many others aren’t, leaving protection for employee data more porous, said Joy Pritts, who served as chief privacy officer at the Department of Health and Human Services until 2014. “There’s just too many different data sources and too many nuances about when the data is covered [by privacy laws] and when it’s not. It makes it impossible for the individual to figure out when their information is protected,” she said. Some in the industry say privacy concerns are overblown. Jim Pshock, founder of wellness-program administrator Bravo, noted many large employers are already self-insured and may have individuals authorized to access employee health data, which federal law says must be separated from personnel records. “The same reason I don’t know you have cancer or AIDS is the same reason I don’t know your blood pressure [through a wellness program]. The firewall’s already there,” he said. It’s illegal for your employer to force you to provide health information as part of a wellness program, whether through a health-risk assessment or biometric screenings, which involve recording things like cholesterol and blood-sugar levels. However, many employers offer generous financial incentives to provide such information, which critics say punish those who opt out and can act as a kind of coercion. In 2016, the Equal Employment Opportunity Commission said giving incentives of up to 30% off the cost of a worker’s health-insurance coverage was permissible. But it removed that guideline this year, leaving a gray area. What if I can’t meet my employers’ health goals? Under federal law, incentives to meet targets for metrics such as body-mass index are allowed. However, employers also have to offer reasonable alternatives to workers who aren’t able to achieve such standards—for example, allowing them to enroll in disease-management or health-education programs. Authors of one large, randomized study published by the National Bureau of Economic Research last year didn’t find any statistically significant difference in medical spending for wellness-program participants over a period of 12 months. “Honestly, I think the jury is out,” said David Katz, who served as director of medical studies in public health at Yale University’s medical school for nearly a decade. However, it can take time to see returns on investment, said Mr. Katz, who sits on the science advisory board of wellness provider Virgin Pulse. He says he is an advocate of such programs, as more needs to be done to address the country’s health problems. Virgin Pulse (which provides a wellness program for Dow Jones & Co., The Wall Street Journal’s parent company) says employees who participate in its program show an average of 13% reduction in annual medical and pharmaceutical costs. Is there a risk of discrimination? Research has found workers who don’t participate in programs tend to be poorer and have less-healthy behaviors, suggesting that in some situations, wellness programs could end up making health care more expensive for the disadvantaged.